In 1954 scientists discovered that Silicon, mostly found in sand, created electricity when the sun shone on it. 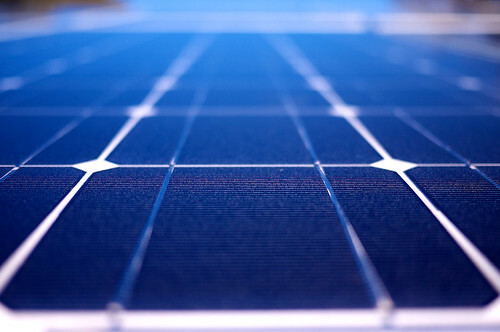 Silicon is a cheap and easily produced metal which is still used in solar panels today. Solar energy is dependent on the Sun, which will be with us for a billion more years. Earth is 93 million miles from the Sun, close enough for lots of light to reach us, but far enough away so that it doesn’t overheat us. Sunlight is largely responsible for all life on Earth. Solar Power doesn’t just generate electricity. Water can be heated using solar energy for homes and greenhouses, and also to maintain swimming pools at a constant temperature. Solar cells are attached to batteries that continue to provide electricity even when the sun isn’t shining, and these will be topped up by the next day’s sunshine. 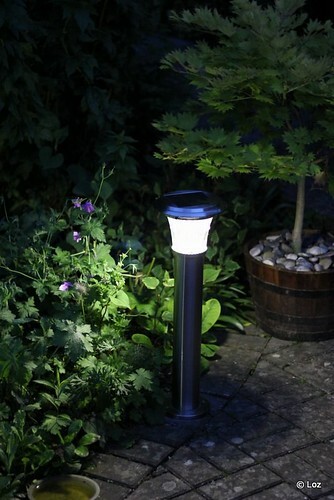 Solar powered torches need these batteries, otherwise they wouldn’t work! You can see solar panels above the signs on the motorway, which flash when there is an accident or a road closure up ahead. The solar panels are the reflective black boxes that sit on top. 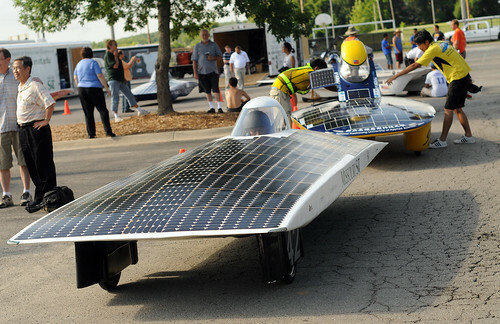 It has been possible to race solar cars since 1985. Since then the speeds of the solar cars have increased and they can now reach 90mph – almost as fast as a petrol driven car! There is an annual competition in Australia for solar powered cars. Germany creates more solar power than any other country – closely followed by Spain, Japan, the USA and Italy. There are more solar panels in Germany than any other country in Europe. The only space probe currently on Mars, the Mars Opportunity Rover, keeps going thanks to solar panels – it has been on Mars for 8 years and shows no sign of slowing down! Its solar panels were cleaned by a dust storm which allowed it continue generating electricity. In 1979 the first totally solar powered aircraft, the Gossamer Penguin, took off from Edwards Air Force Base in California and flew for 2 miles. It was powered entirely by sunshine and weighed less than 70kg. Because of their high consumption, ovens, microwaves and air conditioners are the biggest consumers of electricity in the home. Solar panels can help contribute valuable power to the national grid, reducing the amount of greenhouse gases released in burning fossil fuels. By: Gillian Cook. He writes for Solar Contact which provide up-to-date and relevant information on different solar energy solutions for the home. My son has to do his science report on solar panels and I think that it would be cool if he could do something that has to do with space. However, are the panels that are used on probes the same as those that we use here on earth? If so, I think that it would be fun to help my son make a mini probe using that technology for his project.